David was a shepherd boy and in the eyes of his father and his brothers that was all he was ever going to be. When Samuel came looking for the next king of Israel, David wasn’t even called to come from the fields to be inspected by Samuel until all his brothers had been rejected by God Then, God instructed Samuel to ask for David. People judge us by how they see us; our hair, complexion, our size, height, weight, how we carry ourselves and our clothes. We are also judged by our reputations, what people have heard about us before they’ve even met us. We judge others, and sometimes we judge ourselves, by our outward appearance. We judge other people by their outward appearance because we can’t judge the heart. We judge ourselves by our outward appearance because we don’t esteem ourselves. Ecclesiastes 3:11 states God has placed eternity in the heart of men. In other words, God has placed, in our spiritual DNA, a desire to fulfill God’s purpose for our lives. God created in our innermost person a need to reach our potential. There are times in our lives that people want to pigeonhole us, just like David’s father and brothers wanted to pigeonhole him. They want us to conform to what they think we should look like, think and act. But God doesn’t put people in boxes. God does not require that we all follow the same formula. Look around you and you’ll see that God loves diversity! There are singers, music composers, administrative executives, engineers and day care providers. There are secretaries, computer programmers, doctors and teachers. The list of vocations goes on and on and, in ever vocation there are Europeans, White Americans, African Americans, Asians, Middle Easterners and other ethnic groups. Some are tall, some are short, some are thin, and some are full figured. Whatever you are, you are the right one for the purpose God has given you! Are you sitting still and allowing your eternity to eat away at your spirit person because you don’t think you measure up? Only you can answer that question. Lord, I thank You for my history with You. You have been with me from the beginning. You appointed everything in my life; my birth, all the circumstances surrounding my birth and every day of my life have been appointed and approved by You. 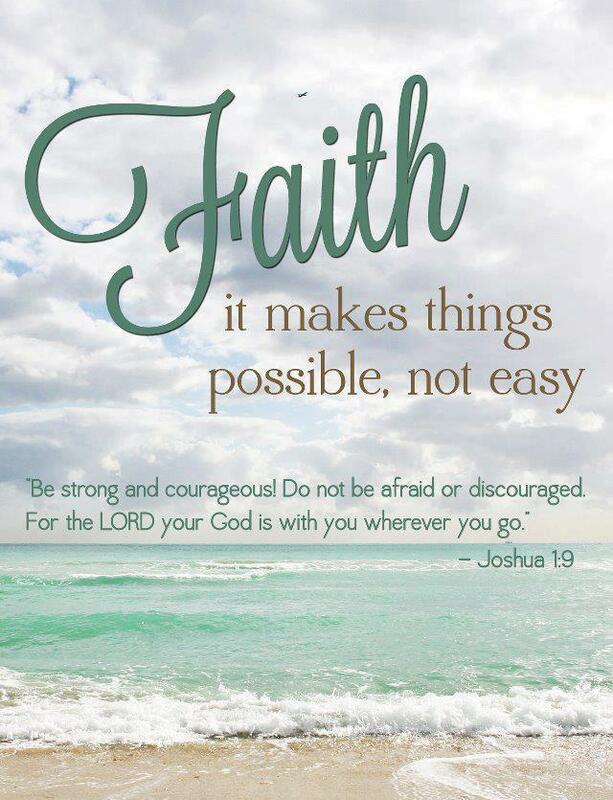 Father as I face hardships, difficulties and heartaches, help me to remember my life was set apart by Your appointment, Your will, and everything that You ordained for me shall come to pass. Lord, help me not to view my hardships, trials or tribulations as permanent; thereby causing me to deal with problems as a permanent fixtures in my life. Help me to view the difficulty with a Christ-like understanding and Godly wisdom, knowing that the problem is temporary and it is working for my good because I love You and have been called according Your purpose. Lord for help me to see I do not have to worry about life or body because You have already prepared a plan to take care of my every need. A plan to prosper me not to hurt me – You are my hope and my future. I pray in Jesus name. Amen. You Are the Salt of the World! If we have accepted Christ as Savior, You and I are the salt of the world. We have the power to heal, cleanse, preserve, create thirst, keep things afloat – like the Dead Sea, enhance an experience, take away stains, repel unwanted pests and add flavor to every life, situation or circumstance we encounter. Salt is small and seemingly insignificant but, it is very necessary if we want to change the outcome of the flavor of what we cook or the look of what we clean. The same is true with us. We may not be a big named preacher or someone others deem significant but we can give a smile to a cashier at the store, a kind word to a homeless person on the street or a shoulder to cry on for someone who is grieving. We can make a small donation to a local charity that’s working to make our community better or volunteer a few hours a week to that same charity. These things may seem small but they can make a big difference. 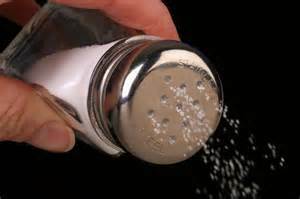 Christians are the salt of the earth. Everywhere we go and everyone we come in contact with should be changed by their encounter with us. This can be a very dangerous thing if the Christian the world comes in contact with is bitter, resentful, envious, and hateful or has a bad attitude. Christians with personalities like this in like putting too much salt in your food; it ruins the food. Is my attitude going to enhance or ruin this encounter? How can I help clean away their stains? How can I help them stay afloat? Am I going to do anything that will cause me to be an embarrassment to God? Has my reputation been rightfully trampled by men? Keeping these questions in mind will help us enhance our encounter with others verses ruining their view of Christ. We are the salt of the world. We are here to enhance other people’s lives one small act at a time.